A research study showed chiropractic care might improve athletic performance by as much as 16.7% over a two week period. The report also concluded that subluxation-free athletes react faster, coordinate better, and execute fine movements with improved accuracy and precession, amounting to an overall better athlete. It is no secret that all 32 NFL teams have a chiropractor on staff and that top professionals in every sport such as Aaron Rodgers, Michael Jordan, Arnold Schwarzenegger, Usain Bolt, and others are under chiropractic care to increase health and performance. Sometimes while playing sports comes possible falls, sprains, and strains. Getting adjusted as soon as possible after an injury promotes faster healing which enables you to return to your game and perform at your best. Like a fine tuned exotic sports car, your body benefits from taking measures to maintain your power. Therefore, having a healthy spine and nervous system is an essential part of being a serious competitor. 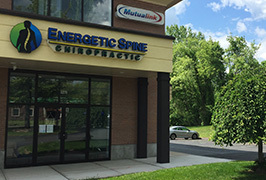 So we encourage Wallingford, Meriden and Chesire athletes to make regular visits to your chiropractor. Give us a call and schedule an appointment today!